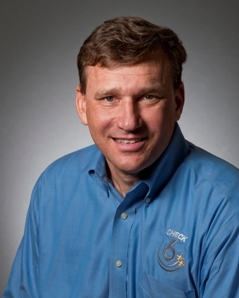 JJ has more than 22 years of experience in organizational leadership, change and improvement. Prior to coming to Check-6 he served as a business process and strategy consultant and as a corporate team building coach. In the military Sos commanded an Air National Guard F-16 fighter squadron, directed and taught at the prestigious Navy TOPGUN fighter training program, directed operations for an F-14 Tomcat Squadron and held numerous other key leadership and management positions. He also participated in combat in Desert Storm, Iraqi Freedom and the NATO Bosnia campaign. Sos is an engineering graduate of Vanderbilt University, earned an MBA from Rutgers University - Camden and retired as a Lieutenant Colonel from the New Jersey Air National Guard. Check-6 provides simple disciplines and realistic solutions for companies that require high reliability and predictable outcomes. We are a team of professionals, inspired to make a difference and empowered to provide innovative solutions, creating a culture of excellence through a higher standard of safety, training and operational efficiency. CEOCFO: Mr. Sos, what is the concept at Check-6? Mr. Sos: At Check-6 we teach and apply best practices, lessons learned and tools and techniques from commercial aviation, military aviation and space operations, around leadership, safety, training and performance, to people in high-hazard environments, such as oil and gas, mining and basically anything where there could be a serious outcome. CEOCFO: What are some of the common areas in which you are helping people? What might be one or two things that people might even be surprised you can train someone to do? Mr. Sos: The common challenge most organizations have is communication. Many of our clients work in a global industry; the energy industry. Therefore, their teams have people of various cultural, educational and linguistic backgrounds. Communication is a big challenge, even around basic day-to-day operations. There are simple, repeatable standardized ways to communicate as a team and that is what we facilitate; teaching them how to communicate around the tools they already have. That is a basic and relatively straightforward one. Some of the uncommon things that we have done is to help organizations understand their governance around operations. Naval Aviation had a very simple and straightforward rulebook that said “this is how we manage operations. These are the things that you can do; these are the things you cannot do. If you need to do something that is not defined here is how you get that approved.” It is all about managing risk. Therefore, we assist our clients in getting a sense of their current levels of guidance and how to approve them and how to better organize them. Even most importantly, how to have their people in the field understand and reference the guidance, and execute against it. If managers do not know how to find the information it is very tough for them to set an expectation for their teams to follow the guidance if they are not even sure of where it exists or how to find it. That is part of what we do as well. CEOCFO: Do you find that companies come to you after a crisis or do many companies realize the need for your services before there is a real problem? Mr. Sos: We see both. Typically, companies come to us when they have a sense that “we want to get better”, on the pre-emptive side. We also have had companies come to us and say, unfortunately, “We just hurt someone and we want you guys to come out and help us figure out how to prevent this from happening again.” Honestly, that second scenario happens more often with clients that we may be working with them in a small part of their organization and something bad happens in a different part and they say “We need Check-6 over here too; to help us insure this never happens again.” It happens both ways. CEOCFO: What is the competitive landscape? 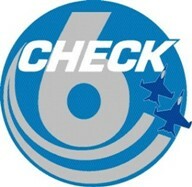 Are there many companies dealing with the industries and segments covered by Check-6? Mr. Sos: We typically get lumped into what is called “behavioral based safety training.” There are many companies that have products that deal with human error. That is because you can only engineer out so much of the hazards. At some point a person is going to be touching a machine and they can either break the machine or hurt themselves or both. That human error component is very hard to engineer out. Quite frankly, with the painful lessons learned with the US Airline industry, we utilize some tools and techniques that our competition does not have, because they do not have the experience in the airline business and how they approach safety and the teamwork piece and how to prevent human error. There are many competitors on the surface in terms of pure product delivery. We occupy a very unique niche that is difficult to copy. That is really due to the people that you have. We have people that our competitors do not usually hire. CEOCFO: What is unique about your people? Mr. Sos: Our core product is that probably eighty percent of our consultants are former military aviators and the rest are special operations folks or special forces types of people; people who have lived, worked and trained in high hazard environments. Of those aviators, many of them went on to the airlines, so they have had a flavor of the military experience, the leadership experience and also the airline approach to safety. We blend all of these best practices and lessons learned. In Naval aviation; my original background, we learned a ton from airlines on how to fly safer. That translates right into the oil field. It is not about the machine it is about the person. Even the most experienced person is going to make a mistake. The question is, will someone intervene and prevent that mistake from becoming an incident or an accident. CEOCFO: As you are dealing with customers as opposed to the military, do your people need a set of people skills and intangibles that they might not have needed in their past experiences? How do you look for that? Mr. Sos: That is a great question. That is because not every great fighter pilot is a good teacher. Just because you were successful in the military does not necessarily make you a successful coach in private industry. We are “influencers”, because we typically do not have any direct authority to change an organization. Therefore, we have to influence the leadership to accept improvements in culture and we have to influence the team to accept improvements in culture. We have really developed a very good vetting process. We are able to screen and select folks that, not only have the experience and the credentials, but also can relate to people. We say that is great if you can talk to the admiral, but you also have to be able to talk to the person scrubbing the deck. That is because we have to influence that person, perhaps even more than the person at the CEO level. Therefore, our folks have to communicate across all levels of the organizations with which we work. They have to be comfortable with it and they have to make the folks that they are talking to comfortable. Our screening process is very, very selective on whom we even hire. That is because, yes, you are right; if we do cannot influence people we are not going to accomplish our clients’ objectives. CEOCFO: What does the recent acquisition of Industrial3D add to Check-6? Mr. Sos: A few things. It adds a new product for us. We are in the training business. Industrial3D is on our training side, in terms of building training content for our clients. We were Industrial3Ds biggest client. Therefore, it is a bit of vertical integration for us. It is a bit of product diversification for us. We are in the business of helping folks, so the opportunity to give our customers easy access to animations and making training simpler and easier is all part of what Industrial3D brings to Check-6. They are an industry leader in animation, particularly in oil and gas. Everyone says that “a picture is worth a thousand words”. With language barrier issues, Industrial3D takes thousands of words and turns them into a simple, easy to follow picture that makes the training very, very digestible to folks out in the field. CEOCFO: What is your geographic reach? Where do you see change or growth in certain areas? Mr. Sos: We work on six of the seven continents around the world. Antarctica is the only place that we have not worked. Sixty percent of our company’s business is overseas. Where the oil field is growing quickly, that is our biggest potential market. West Africa, Southeast Asia, the Middle East, those are all places where, right now, we only do a small amount of business. We see that as an opportunity for tremendous growth. Brazil, Latin America and all of those markets are still underserved in the kinds of services that we provide. We see those as tremendous opportunities for growth for our company. CEOCFO: How do you reach out to perspective customers? Do people know where to find you? Mr. Sos: We do that a number of ways; industry conferences, advertising both in publications that are industry focused in oil gas and mining and also, for example the United Airlines Magazine. The advertising there has generated a lot of exposure. We do some online advertising. Quite frankly, our best marketing has been our clients referring us to other people in their own organizations. The oil field has many people that move around constantly. Therefore, if we have someone who has worked with us in, for example, North America and then they move over to Thailand, they will say “I worked with Check-6 over in Louisiana and we need some of that over here.” Therefore, between advertising, marketing and just word of mouth in the industry, we have been able to continue to grow across the globe. CEOCFO: What is the key to keeping up with the latest technology and industry regulations as well? Mr. Sos: Training is the key to being successful. In the military new airplanes come out and as much focus is put on how you are going to train the crews to use them as much as how to use the technology in the airplane. What we tend to see in the oil field is that they will come out with some new technology; for example, a state of the art drilling rig, but there is very little effort put into crew training. It is all on the job training. It is a minimal amount of training for the initial crew and then as they turn over or grow there is no standardized way to introduce this new technology into the industry. With the cost of this equipment now and the serious corporate risk around you having a rig lost and, God forbid, losing some human life as well or a major environmental catastrophe, it would seem that investing in training would be a minimal expense. However, it is just not part of the culture and it is not part of how things have been done in the past. Therefore, it has been a slow change. Technology is great, but if the people are not trained to use it things get very expensive very quickly. The energy industry is very cyclical. When the price of oil goes down people stop drilling and when the price of oil goes up people drill like crazy. In the late 1980s the price of oil globally plummeted and then it did not really recover until the 2000s to a meaningful level. Therefore, for a good fifteen or so years the oil field was not hiring. There were plenty of folks who were hired in the 1970s who were able to survive the downturn. However, those who were hired in the 1980s, many of them got laid off and went on to other careers. Now, twenty-five years later, those folks who were hired in the 1970s are all at retirement age. There is a big gap between those people and the next real meaningful demographic group that has five to ten years of experience in the industry. You have a whole bunch of folks with thirty-plus years and a whole bunch of folks with five to ten. Not only that, but the industry is massively growing. Therefore, not only do you not have experienced people, but you do not even have enough folks who can come in off the street and do entry level positions. That is what they call The Great Crew Change of all the experienced people leaving and a whole bunch of smart and hard working, dedicated folks who have five to ten years in the industry, but do not have the experience. There is a lot of training that used to be on-the-job training that they do not have. Therefore, there is a big push to being able to pick a person off of the street and turn them into a confident crew member relatively quickly. The US Navy and the US Air Force have dealt with this problem for one hundred years. You pick up someone who walks into a recruiter’s office and has never been on a ship, never worked on an airplane and never been at sea and there is a process to rapidly train them in months on how to be a key member of the team. That is part of how we are helping the oilfield fill that gap; how to rapidly train someone to be a competent member of your team. CEOCFO: Do you see additional acquisitions in the near future? Is it something you are actually looking at or is it opportunistic? Mr. Sos: At this point we are not actively looking, but given the right opportunity, such as Industrial3D, we would jump on it. We are still focused on our own organic growth and our organic demand. That is keeping us busy enough. Industrial3D was the right thing to do, but right now we are not actively looking. CEOCFO: Why should investors and people in the business community pay attention to Check-6? Mr. Sos: There are two reasons. Number one is that we have put many service-disabled veterans to work and they are meaningfully contributing to improving the health and the safety and operational efficiency of our clients across the globe. Not just US veterans, we have Brazilians, we have Thai, we have Norwegians, we have French, Australians, New Zealanders, Poles; we have a multinational group of folks who are translating their military experience into something that is adding value for our clients. I could not be more proud of that. The other reason that people should pay attention to Check-6 is that, fundamentally, there are many things that other people have figured out, in the airline industry in particular, around how to avoid human error. Those lessons apply in any industry. Those industries can learn the lessons on their own and slowly work through them, or they can rapidly improve based on the lessons learned from other high hazard industries. That is why people should pay attention to what we are doing; because it is not rocket science, it is just applying principles we have learned in other industries and it is keeping people safer around the globe.